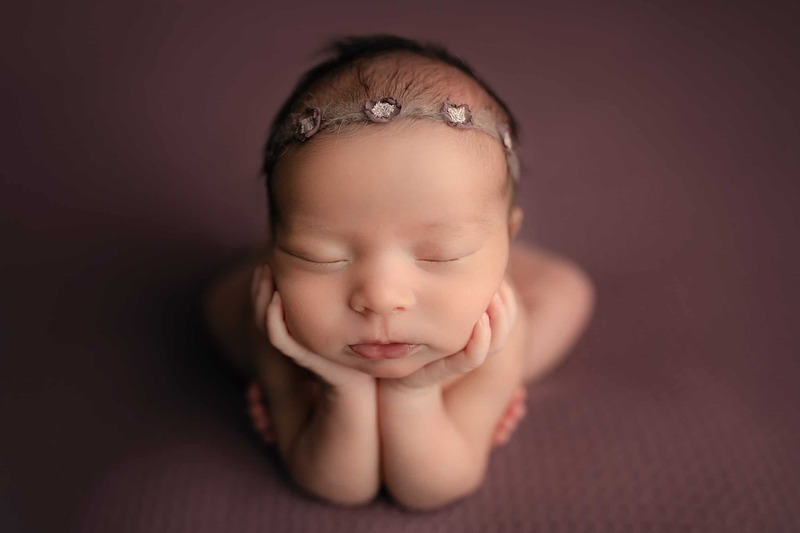 Little Miss G. was one of the sweetest newborns I’ve worked with at my Cincinnati Ohio newborn studio. She barely fussed at all going into her poses and slept like a champ. Her big sister was also a dream, she kept giving me hugs and having me hold her, and I loved every second of it! I love being a Cincinnati Newborn Photographer, it helps with my baby fever!! Here are a few of my favorite images from Miss G’s session. If you’re looking for a Cincinnati Newborn photographer, message me today! It’s best to book a newborn session around your 2nd trimester, that way you can be sure I’m not all booked up! I do have last minute openings too, so it never hurts to send me an email to see if I have a space. Baby G’s room is lavender, so Mom wanted to make sure we got so pictures of her on a lavender backdrop. Big sister was hard to get a picture of because she was always on the move but I think this one is perfect! Big sister LOVED giving kisses and hugs and these turned out perfectly!